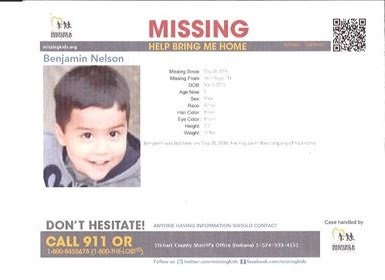 If you or anyone you know has experience or knowledge of the Twelve Tribes and their various communities around the world we are asking for your help in locating a mother and her missing 5 year old child who have been missing for 2 years now. "My son and his mother (my common-law wife) have been missing for over 2 years, with no contact. Our child is now 5 years old. They are living in one of the 12 Tribes communities, but not the one where I last saw them. I am unsure if she was taken against her will or not. Although the courts have granted me full custody of our child, no efforts have been made to retrieve my son or discover his current whereabouts. Mother and child were last seen in Tennessee. Authorities indicate they were moved to Colorado. We now have reason to believe they may be in Mexico. Here are some pictures of the missing mother and son. Please, please, if you know of my family's whereabouts let me know. I am torn in two from this heartbreak and extremely worried for my small boy's fate. You can contact my liaison, Christina, at savviesound@hotmail.com. Thank you from the bottom of my heart and the depths of my soul." Or you may also email us here at FACT at Support@FamiliesAgainstCultTeachings.org with any information you think will help the father locate his son and wife.